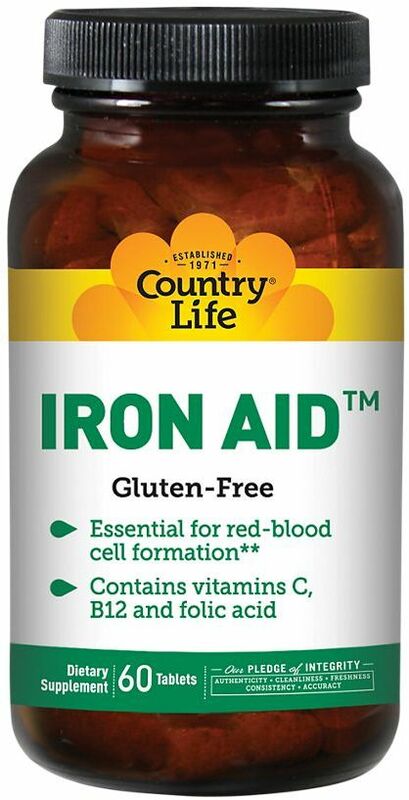 Iron is an essential mineral that is required for manufacturing red blood cells. All cells contain iron. Iron is part of proteins -- mostly in hemoglobin, the pigment in red blood cells, and to a smaller degree, muscle myoglobin -- that carry oxygen throughout the body. Iron is also in enzymes that are necessary for a variety of bodily functions. Note that the following table is not the recommended supplement dosage, but a total daily dietary allowance. If you are not meeting your recommended daily allowance (RDA), you can talk to your doctor about supplementation. This table is based on Institute of Medicine recommendations. There are two types of iron. Heme comes from hemoglobin. 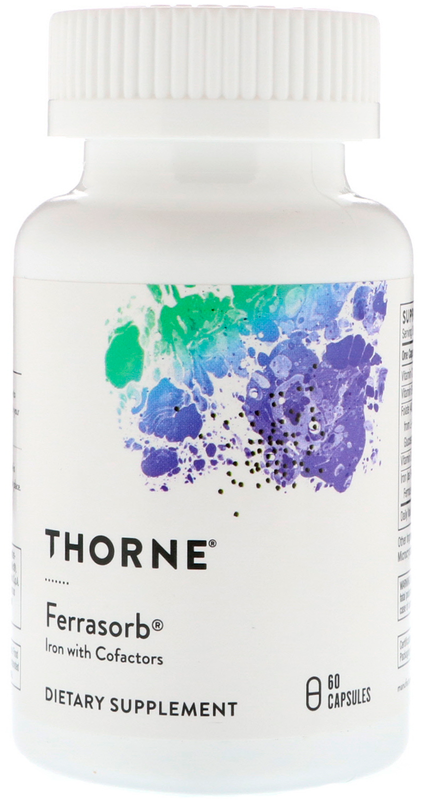 It is absorbed better than non-heme iron. Sources include chicken liver, oysters, salmon, turkey (dark meat), andbeef. Non-heme is added to enriched and fortified foods. A majority of dietary iron is non-heme. Sources include plant food sources suchas beans, spinach, oatmeal, eggs, and seedless raisins. On average, healthy adults absorb about 10% to 15% of iron from their diet. However, how much iron your body absorbs from the foodsyou eat depends on storage levels (when your iron stores are low, there is a boost in absorption) and the type of iron you take in. About 15% to 35% of heme iron is absorbed compared to 2% to 20% of non-heme iron. Heme iron absorption isn't as affected by diet as non-heme iron. Top your cereal with sliced strawberries. Calcium, legumes, tea, and whole grains may hinder absorption of non-heme iron. It's harder for the body to absorb iron from grains, fruits, vegetables, and supplements. Vegetarians need to be diligent meal planners in order to get proper amounts of iron, and remember to include vitamin C food sources with non-heme iron sources. Iron in breast milk is more easily absorbed compared to formula and cow's milk. Sources of vitamin Cinclude bell peppers, guava, oranges, cantaloupe, grapefruit, strawberries, broccoli, sweet potatoes, cauliflower, and pineapple. Take note that the more iron you consume at one time, the less it is absorbed. So be sure to spread out your prescribed supplemental iron doses evenlythroughout the day. 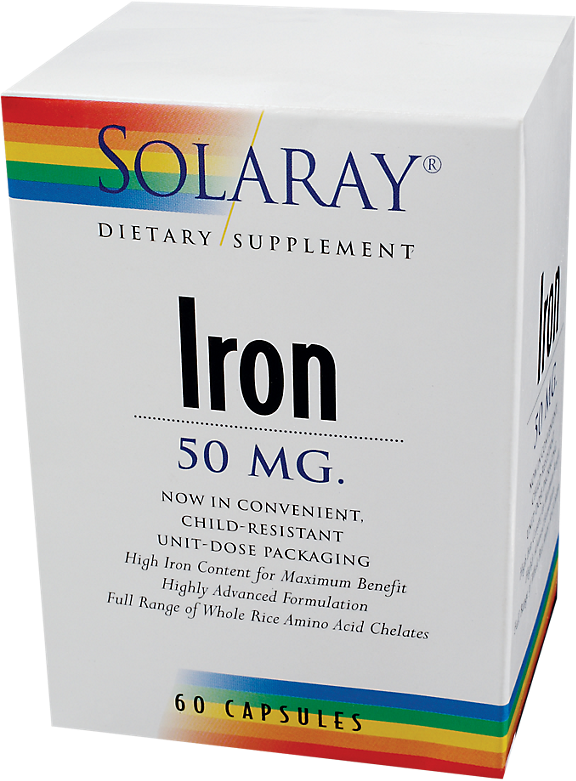 Iron deficiencymeans there is too little iron in the body, whiletoxicity means there's too much. Both conditions can lead to health problems. Iron deficiency is one of the most common nutritional disorders in the U.S.
Up to 80% of humans worldwide are thought to be	iron deficient, which occurs over time. At this point, iron stores are used toprovide needed iron, so hemoglobin is not affected. Iron deficiency anemia, estimated to affect 30% of humans, occurs when iron stores are depleted and blood iron levels can't fulfill the need. With this condition, hemoglobin levels drop below normal. In the U.S., anemia is caused primarily by iron deficiency. Not getting enough iron in the diet. Having experienced significant blood loss. Not being able to absorb iron. If you have too little vitamin A, which helps move iron out of storage, it might appear that you have a deficiency becauseiron levels in hemoglobin dwindle, but iron stores actually stay constant. Vitamin A deficiency is uncommon in the United States, but it is an issue indeveloping countries. Eat a nutritious, balanced diet that includes heme and non-heme iron sources. Your doctor may also prescribe iron supplements if you are experiencing symptoms of iron deficiency anemia but aren't getting enough iron from yourdiet. Supplements can help restore iron stores and build up hemoglobin, but it's best to get iron from your diet. Your doctor can test your serum ferritin level (stored iron), hemoglobin levels, and hematocrit (the percentage of red blood cells) to detect possible deficiency. Bone marrow iron levels may be tested as well. These are only a few tests your doctor may order. 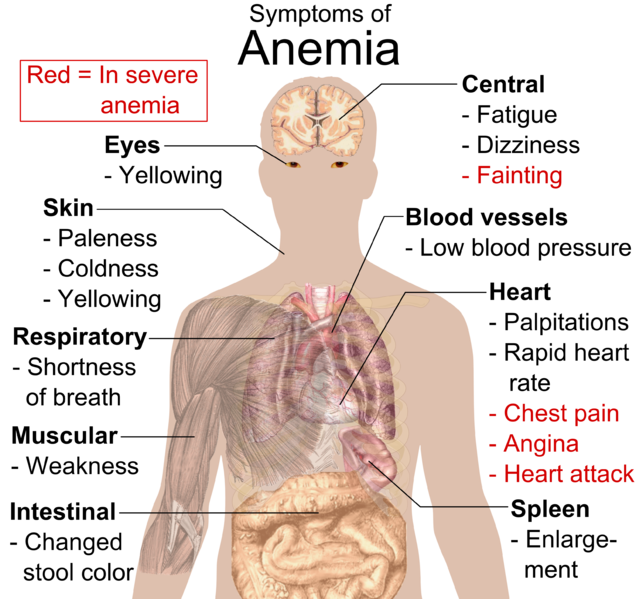 Treatingiron deficiency anemia could take up to six months. Having too much iron in the blood can lead to toxicity and death. There is a high risk of toxicity because iron sticks around in the body and can build up in tissues and organs if storage areas are maxxed out. Taking 75mg of supplemental iron may increase your risk for toxicity. Children and adults with hemachromatosis (causes your body to absorb too much iron) are at especially at risk of iron toxicity. Men, postmenopausal women, and people with blood disorders who get frequent transfusions generally do not need iron supplements. They are more at risk for iron build up. Check with your healthcare provider before taking iron supplements. Endurance athletes may get sports anemia, which involves ferritin and hemoglobin dilution during training. Studies are inconclusive regardingwhether or not strength and endurance training requires iron supplementation. Iron deficiency can be a problem for athletes who don't get proper amounts of iron. Joggers, cyclists, and competitive swimmers may have loweriron levels due to gastrointestinal blood loss and high red blood cell turnover. Runners particularly may experience ruptured red blood cells in the feet. Athletes that follow restrictive, unbalanced, or low-iron diets, or try to lose weight by extraordinary means may be lacking in micronutrients,including iron. Growth spurts, high altitude training, sweating, elimination, frequent blood donation and injury could alsocontribute to iron loss and possible deficiency. A supplement may be appropriate. Periodic iron level checks are recommended for these populations. 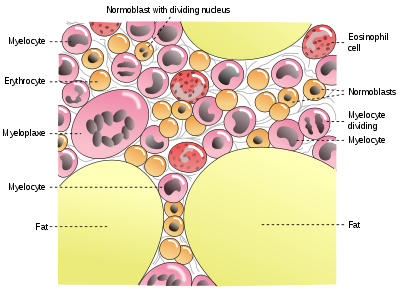 In women, anemia is defined as hemoglobin of less than 120g per liter. In men, it's less than 130g perliter. Chances of developing anemia increases in seniors. Age and general health status are factors. Women are more apt to develop the condition before age 75 while the risk for men tends to increase after age 75. And the risk increases significantly for men and women after age 85. The most common signs of anemia in seniors isconjunctival pallor or pale mucous membranes that line the inner eye lid and exposed part of the eyeball. 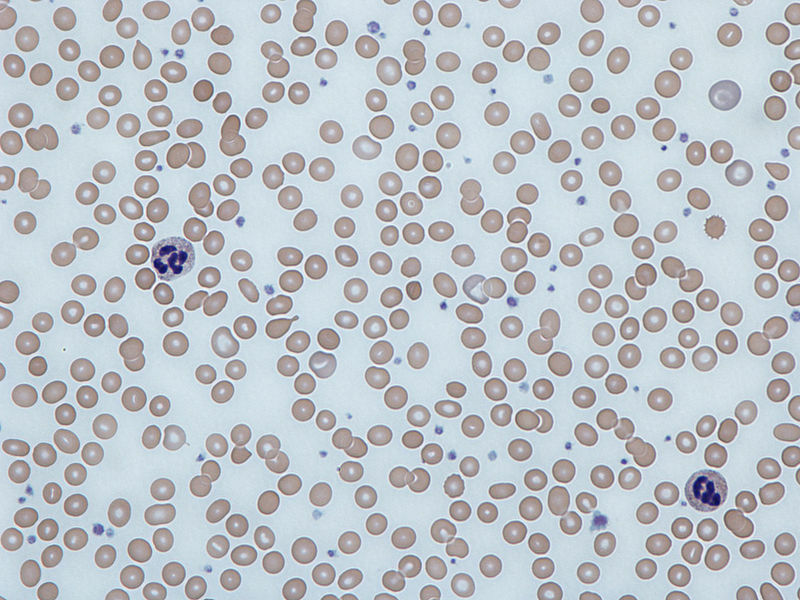 Older people mayalso show signs of an anemia-related complications, such as cognitive problems, dizziness, apathy, and aggravated congestive heart failure. Chronic infections, osteoarthritis, leukemia, and acute hepatitis can also cause anemia. 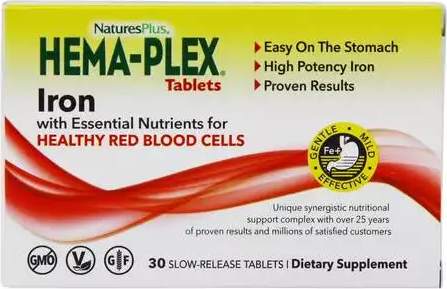 Treatment of iron deficiency anemiashould include iron supplementation. Iron restoration begins about a week into treatment. Oral and intravenous iron replacement optionsare available. Babies are born with enough iron to last up to six months. Breastfeeding provides additional iron, but if that is not an option for you, talk toyour pediatrician about iron supplements or iron-fortified formula. Adolescentsin general may become iron deficient because of picky eating habits and growth spurts. Teen girls who heavily menstruate and forego iron-rich food sourcesmay also be at higher risk of developing a deficiency. Iron deficiency is implicated in behavior problems, learning disabilities, and stunted growth in children. Educate your child about the importance of iron as part of a healthy, balanced diet. 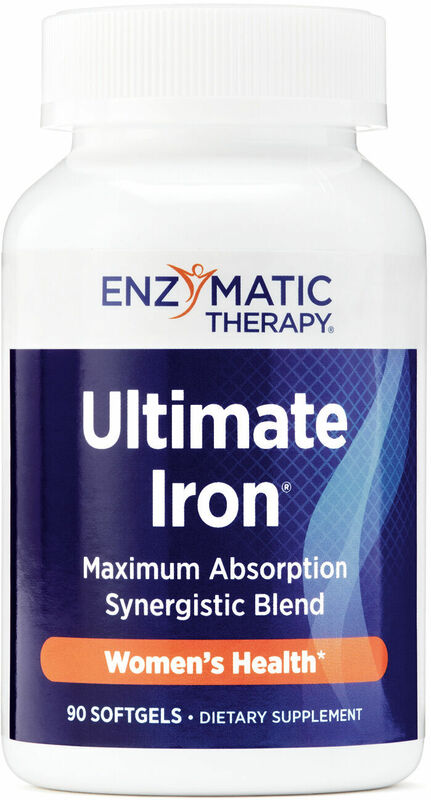 Large doses of iron supplements may reduce zinc supplement absorption if administered without food. When supplements are taken with food, iron doesn't seem to markedly affect zinc absorption. Iron absorption may be reduced by calcium in dairy foods and supplements. Iron deficiency can be caused by underlying health problems, not just diet. Iron-fortified formula is recommended for babies weaned from breast milk prior to their first birthday. Death can result if your child takes 200mg of iron. 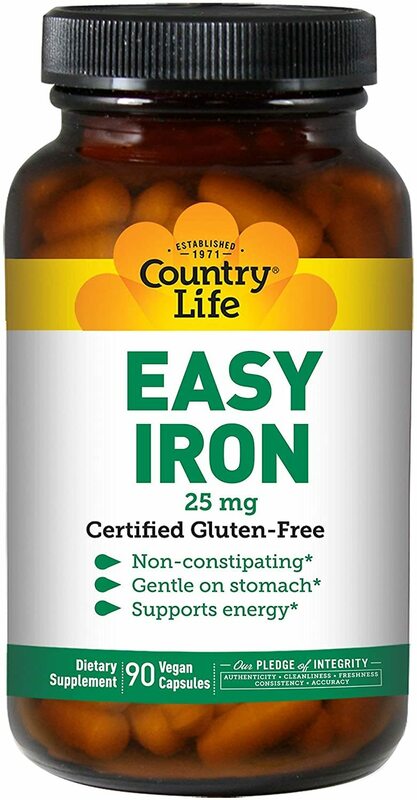 Iron can cause constipation, nausea, vomiting, and diarrhea. Taking iron with food can help avoid these side effects. Do not give your child iron supplements without first consulting his doctor. The 2010 Dietary Guidelines for Americans recommends that food be the main source of nutrients, since it is more nutrient-dense thansupplements. Supplements lack important nutrients, such as fiber. Rebuilding iron stores can take from 6 to 8 weeks, and usually can be done without supplementation. We believe in low prices here at PricePlow. Iron supplements have been around long enough and are simple enough to manufacture that they should not cost a lot. Review our price comparisons below. Office of Dietary Supplements; "Iron"
The University of Texas at Austin; Sports Science and Nutrition; "Female Athletes and Iron Status: Key Points"
Ohio University; "USA Swimming-Research & CQ;"
Source Naturals Vegan True Iron Support was created. Thorne Research Ferrasorb was created. 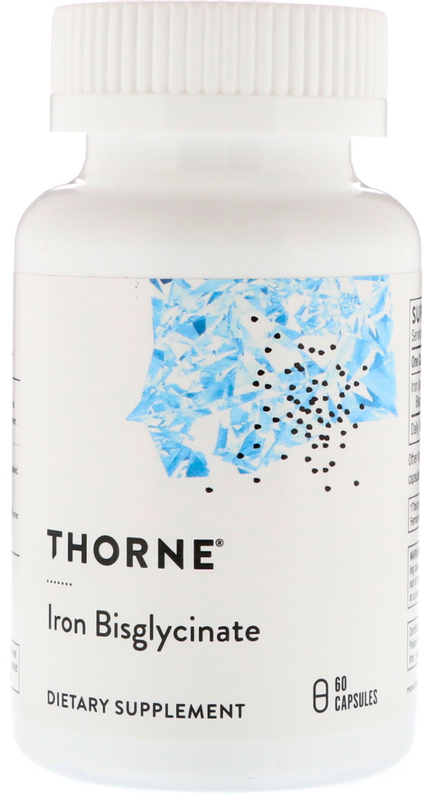 Thorne Research Iron Bisglycinate was created. 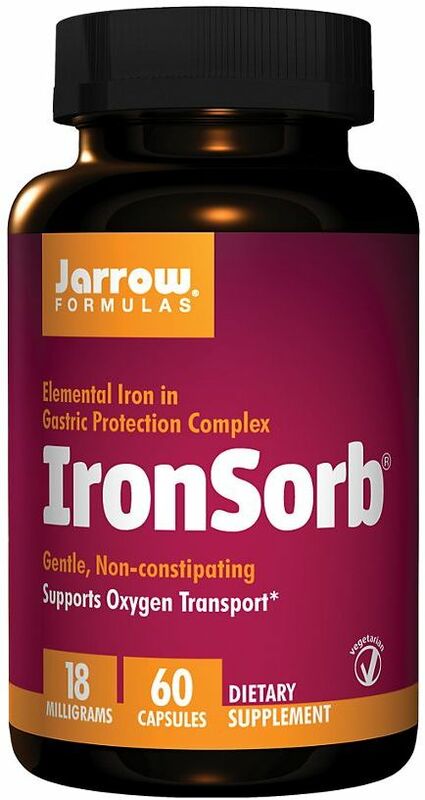 Jarrow Formulas Ironsorb+ Lactoferrin was created. GNC Gentlesorb Iron was created. Iron and the Keto Diet: You might think that your beef and spinach consumption will get you enough IRON on the keto diet... may want to double-check! Sign up for future Iron news! Click the button below to sign up for future Iron news, deals, coupons, and reviews! Sign up for future Iron deals and coupons! Click the button below to sign up for future Iron deals, news, and coupons! Subscribe for more Iron news and alerts! Subscribe to PricePlow on YouTube or click the button below to sign up for our latest Iron news and reviews! 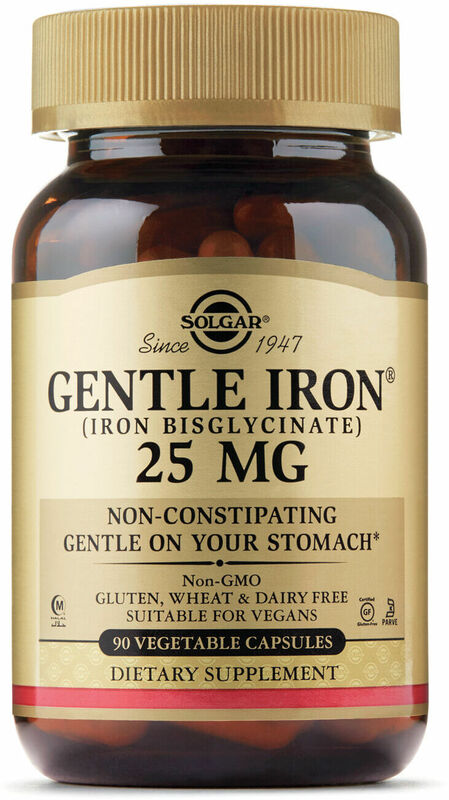 Gentle, Non-Constipating, Vegetarian Iron Supplementation! $4.89 This is a Buy 1 Get 1 FREE offer! $5.25 This is a Buy 1 Get 1 FREE offer! $12.17 This is a Buy 1 Get 1 FREE offer! 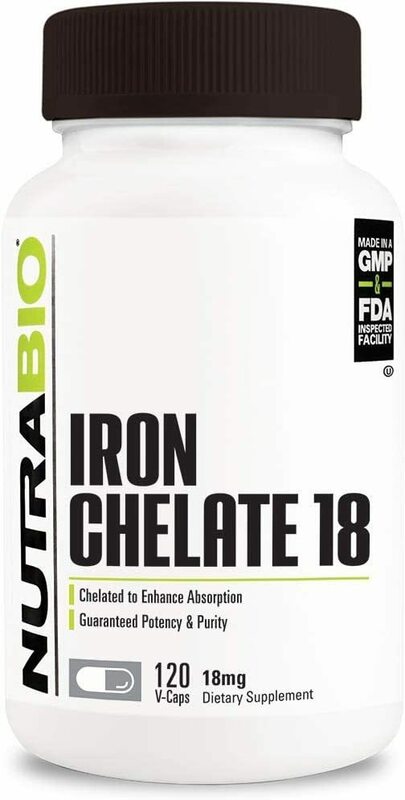 Product Label IRON IS ESSENTIAL FOR THE FORMATION OF RED BLOOD CELLS. $8.03 This is a Buy 1 Get 1 FREE offer! $5.35 This is a Buy 1 Get 1 FREE offer!